Sport is at the beating heart of this prestigious educational centre of excellence with their new sports hall providing a facility second to none. The previous sports hall was damaged during severe weather in 2014 and in its place a new twostorey facility has been built. The solution supplied by international flooring and interiors specialist Gerflor for this new sports area would be pivotal in furnishing a high-quality sports solution that could provide comfort, safety and a high degree of performance. 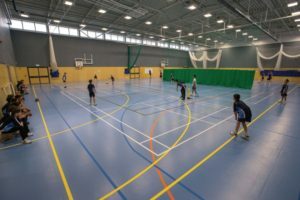 Stockport- based Architects WAJW would, after many meetings with the school, specified some 1250m2 of Gerflor’s Taraflex® Comfort and Performance in Lagoon and Oak colours for the main hall and upstairs junior hall areas. The process of selection would entail a number of Taraflex® samples being laid to highlight the products enormous comfort and safety qualities. After a visit by Gerflor’s UK Technical Manager, Nicholas Egan the die was cast. 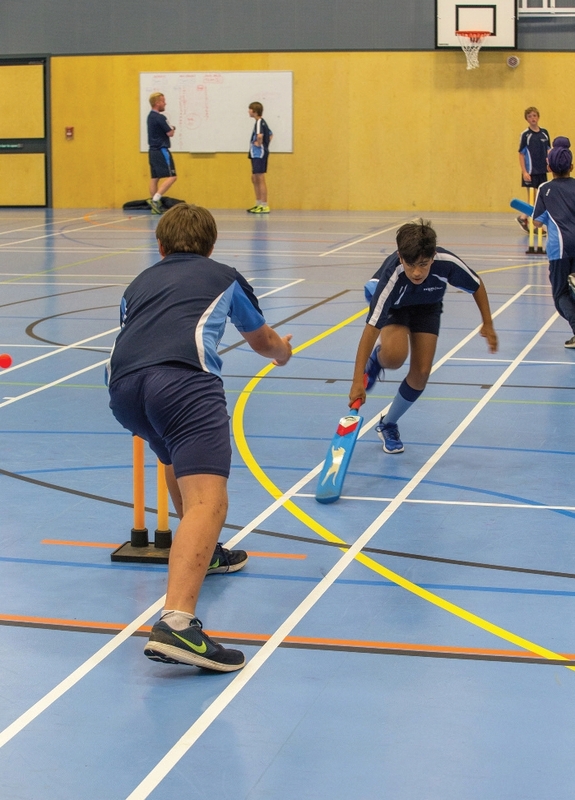 Taraflex® Comfort would be the preferred flooring solution as it also provided a flooring that would not a need an extra matting layer, enabling cricket to be played directly on the Taraflex® surface. in Swinton, Greater Manchester. Since trading they have gained relationships with a number of clients primarily in the retail shop-fitting refurbishment sector and the construction industry. They take great pride in the quality of their workmanship with their staff being trained to highest standards. Shaun Davies, Managing Director, Premier Flooring Solutions Ltd said, “We were originally sent the tender from Walter Carefoot and Sons, Builders and as it was a sports flooring project this was a perfect fit for us”. Shaun Davies went on to further add, “Gerflor products were chosen as the project required a high quality sports floor which Gerflor are renowned for. We have used Gerflor products on numerous occasions and found them to be really easy to fit and lay”. Taraflex® from Gerflor has been used in many international and local sporting events and is available in 17 colours and two wood-effect designs. In fact, Taraflex® is making a real difference this year at the Rio Olympic Games as the chosen flooring for the handball and volley courts. of offering comfort for users. 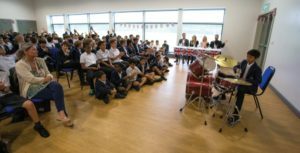 Previous Why are Schools in the UK Struggling with Security?